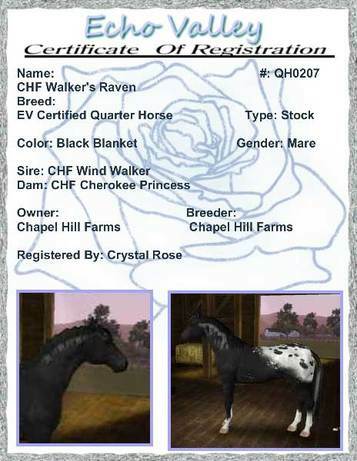 Walker's Dream is a few spot leopard Quarter Horse mare. She was sold as a foal in February, but she has come back to Chapel Hill Farms. I am happy to have her join my broodmares. Color/Marking: Black few spot leopard.